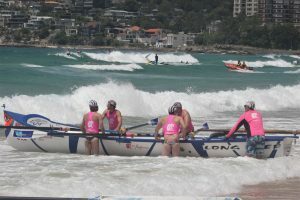 This year’s Manly Carnival fell on Australia Day and the Longy boaties tribe greeted the sunrise with the prospect of a great days’ racing ahead! Smokingly good start in the final, Long Reef take a jump on the field in the middle of the pack, Nth Cronulla also flying out to sea in lane 1. And the judges’ decision is … Longy just pipped at the post and Nth Cronulla take the Chocolates! Many thanks also to Margaret, Mal, Peter & Dave for helping out as officials. 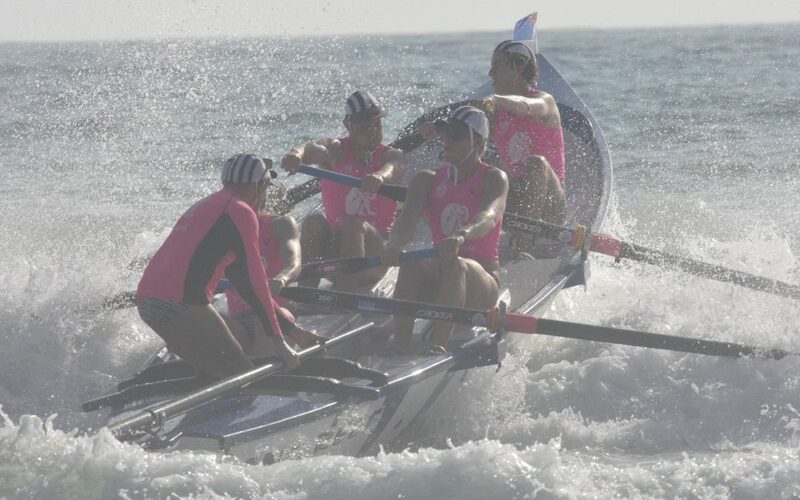 PS: Next event Northern Beaches Branch Championships at Palm Beach Sat 9th Feb! – Looks like there will be 6 Longy crews on the water!